Margaret Sleightholm: Great-grandmother. Sports fan. Volunteer. Knitter. Born Jan. 2, 1925, in Toronto; died Aug. 12, 2018, in Toronto, of suspected heart failure; aged 93. Growing up a child of Irish immigrants during the Great Depression influenced Margaret in many subtle (and not-so-subtle) ways, instilling in her an admirable sense of practicality and frugality. No trip down her creaky basement stairs was complete without a peek into her limitless chest freezer, always stocked with mysterious baked goods, an abundance of unidentifiable meals and other frozen treats. Life wasn’t easy for Margaret. When her own two sons, Blair and Randy, were still young, her sister, Allison, was hospitalized with tuberculosis and Margaret raised Allison’s two children alongside her own until her sister recovered. Margaret lost her husband, Ralph Sleightholm, in 1968 when he succumbed to complications from a stroke he’d suffered five years earlier. Their sons were teenagers. But she persevered, as she always did. After Ralph’s death, Margaret worked as a school secretary for more than 25 years before retiring in 1989. Despite a modest income, ever-frugal Margaret treated her children and grandchildren to many memorable family vacations. Margaret was a passionate Toronto sports fan. When the Leafs or the Blue Jays were playing, she’d listen to the game on her kitchen-table radio, but would abruptly snap it off in a huff when they started to disappoint her. Nevertheless, she was a steadfast and loyal fan until the end, cheering behind home plate at her final Jays' game in June. Margaret was also a dedicated volunteer, devoting two days a week for 25 years to the North York Harvest Food Bank. She retired at 93, mere months before she died. She often talked about the virtues of volunteering and how her food-bank experience had so positively influenced her life. Margaret will be forever missed by her family and friends. 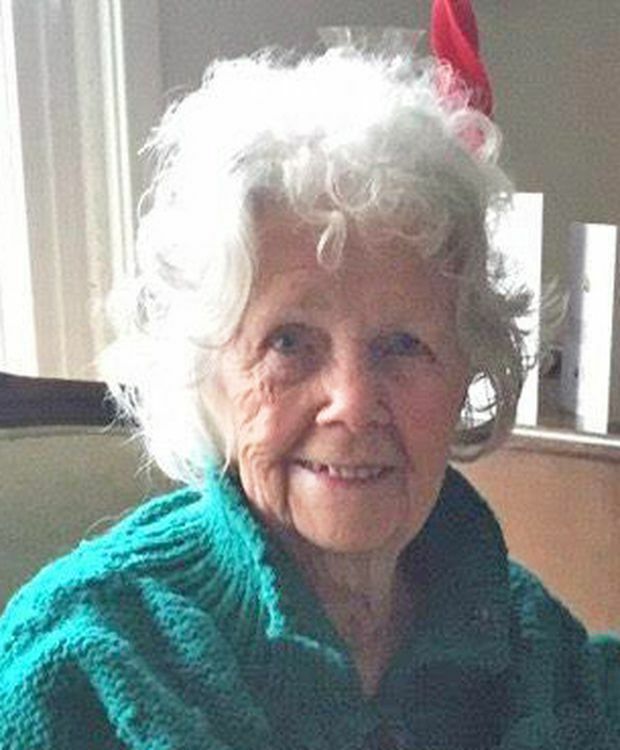 Not only do we all have her recipes for gumdrop cookies and macaroni and cheese, but also we have offshoots of her raspberry and rhubarb plants growing in our yards and, most importantly, we have the example that she set for us to be strong, to be brave and to give of ourselves as she always did. Stephanie Phoenix is Margaret’s granddaughter. To submit a Lives Lived: lives@globeandmail.com.